Winter is upon us! Home heating and a little homely décor is essential to having a cosy environment. Here’s how to get that feeling without breaking the bank. First things first – your heating source. If your main source of heating isn’t doing its job, you need to change it before you do anything else! It can sometimes work out incredibly expensive when you turn on your central heating every day at the temperature you need, so before you start making some homely changes, you need to get the right heating source nailed on the head. These days, people are opting for a log burning stove or are trying a little home heating oil to get that heat pumping. Heating oil is very eco-friendly too and can warm up your home in next to no time. Some companies even offer an oil boiler service as a part of your purchase for a little peace of mind. Next, keep that heat in! Once you have an affordable method of home heating, it’s time to learn how to keep it cosy, DIY style. There are many cost-effective ways to keep in the heat while also keeping things stylish and ‘you’. A bit of fluffy décor can work well for a number of reasons. They’re great for keeping in a bit of heat, especially when you have a wooden floor or leather sofa which can naturally be quite cold to the touch. Also, they come in so many shapes and styles, so you’ll always be able to find something suitable to suit your home’s theme. 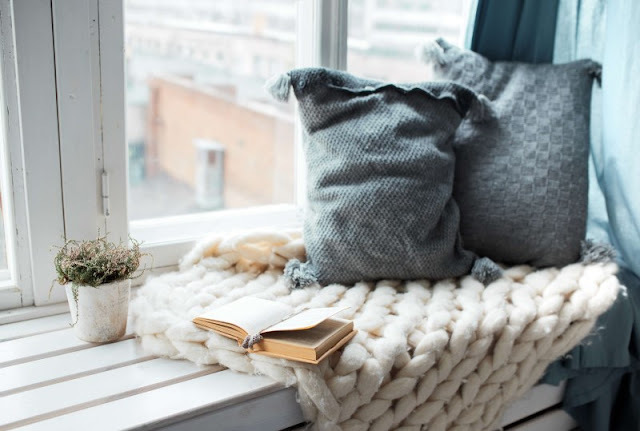 Without even realising, you’ll be making your home cosier via a relatively cheap method. 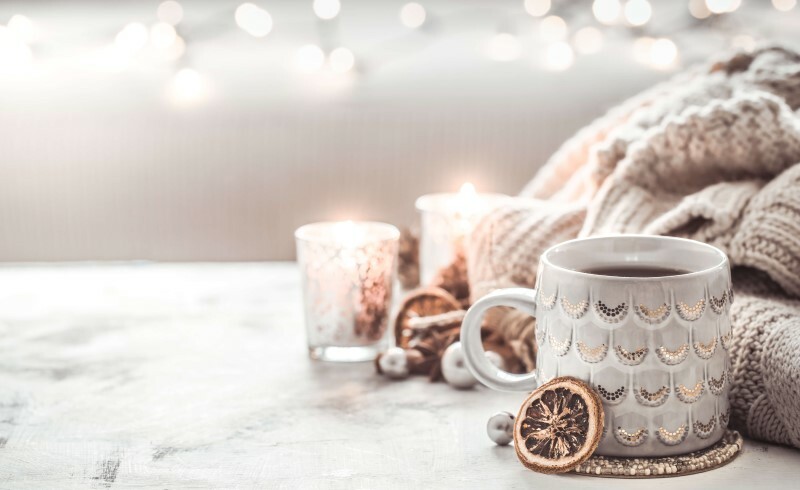 Get down to your favourite home furnishings store and pick out something super cosy that will make all the difference. Candles, believe it or not, can actually contribute to the heat in your home – well, they are burning flames after all! Not only will they radiate a little heat while you’re sat in your pyjamas on an evening, but collectively, they give a much more homely feel. As with all naked flames, it’s important to keep them away from any flammable fabrics. Always use a candle holder and keep them well away from curtains, cushions, or any other home furnishings. Instead of opting for yet another sofa or big comfy chair for your next dinner party, how about trying the less expensive option – floor pillows! Not only will they make your living area more inviting and stylish, but it will make the atmosphere much more relaxed when you have people to visit. These items can be found in any home furnishings store and can be very durable when looked after properly. They’re also available in so many different styles so again, you’ll be sure to find something that fits in with your home’s theme. There’s nothing quite like a lick of paint to make things seem more cosy and modernised. Darker colours such as burgundy, navy and even black and grey gives the impression of an incredibly cosy living space and will make you want to spend much more time in your own company! You sometimes don’t even need to redecorate completely to get the feel you want – simply spruce things up a little with a few different textures of fabrics and throws or even try trimming your fireplace with a darker tone of décor. Home heating and cosy décor equals an ideal living space. Sometimes, the simplest of changes can make all the difference to your living space. Making those essential alterations such as switching up your source of heating and adding a few homely touches to your home can make so much difference. Do you have any DIY tips for a cosy home? Let me know in the comments! This post was in collaboration with Rix, home heating oil and fuel providers for homes and business in the UK. For more information or to request a quote, visit their website: https://www.rix.co.uk.